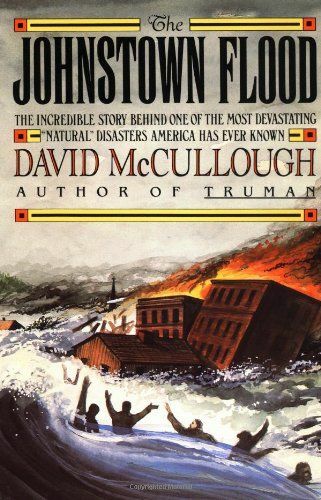 “The Johnstown Flood” by David McCullogh. 304 pages. Simon & Schuster. I picked up this book a few weekends ago, mainly due to the influence of its author. David McCullogh is not only an excellent historian, but is also a great storyteller, and it’s often hard to find someone who can do both. I read his book, 1776, which I also highly recommend, and have heard his books on Truman, the Panama Canal and John Adams are also excellent. He has received two Pulitzer Prizes for his work. This is one of those books that takes a little patience at first, but when you get into the meat of the story, grabs you by the throat and won’t let go. One of the things I like about reading history and historical novels is that beyond the cliches and stereotypes about different eras, I usually don’t know much about what was like. The Johnstown Flood, considered one of the most devastating natural disasters America has ever known, happened in May, 1889. Most literature on the era is about Britain or about the Wild West. This happens in Pennsylvania. And more than 2,200 people were killed in one day. The story starts off slowly, talking about a handful of people and their relationship to Johnstown. Johnstown, Pennsylvania was a booming coal and steel center filled with hardworking blue collar families. At the same time, the elite business owners, including people like Andrew Carnegie, Henry Clay Frick and Andrew Mellon, had invested a great deal of money in building an earthen dam in the mountains above Johnstown. The owners of the dam were warned time and again that the dam could be dangerous, but those warnings were ignored. 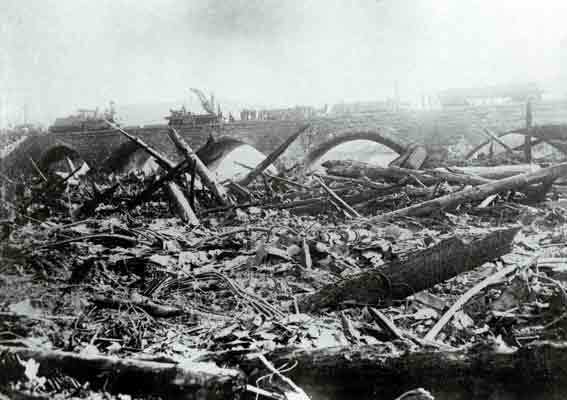 Finally, on the afternoon of May 31, 1899, the dam gave way and a wall of water in some places up to 70 feet tall roared down onto Johnstown, killing more than 2,000 people. The incident made international news, and resulted in a national scandal. This is not a historical novel, but as I read it, I couldn’t help but think what a great disaster movie it would make. The book is full of dozens of first-person accounts from the flood and the days that followed. It makes for interesting, if not a bit sobering, reading. I give it four stars out of five.